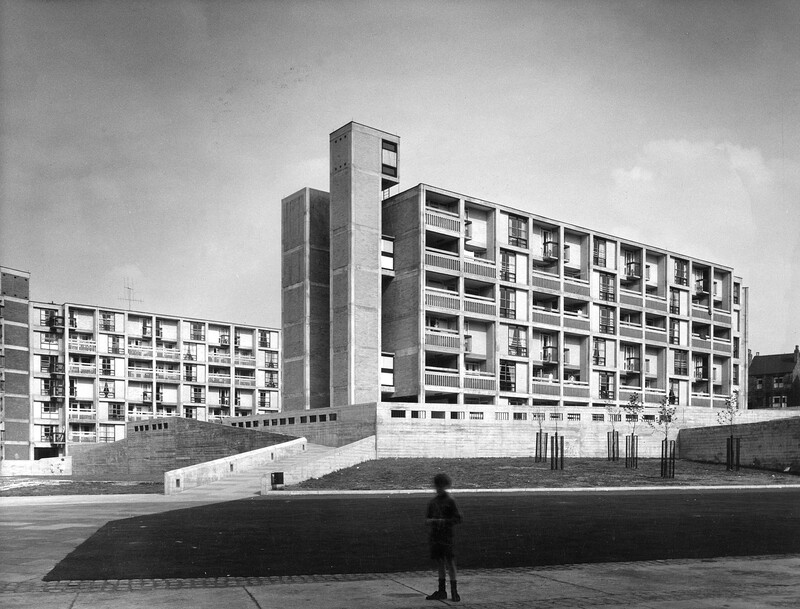 Set in 32 acres of green space overlooking Sheffield city centre, the Park Hill Estate was built between 1957-1961. It was designed by architects Ivor Smith and Jack Lynn under the auspices of Lewis Womersley, the chief architect of Sheffield’s housing committee. Park Hill contained around 1,000 flats to house the people of Sheffield and is a true landmark of the Sheffield city skyline. The building is also internationally recognised as an icon of brutalist architecture, being loved and loathed in equal measure. As we have worked on the project we have been struck by the numerous connections that local people – including our team members – have to Park Hill, and this has serve to further highlight its importance. The original Park Hill Estate contained all the amenities that residents needed, including children’s play spaces, pubs and shops, all intended to foster a strong sense of community, within close proximity to the city centre. The flats themselves were dual aspect, all facing south or west, each with their own generous balcony. Flats on the middle of the three floors were accessible off a “street-in-the-sky”. English Heritage placed a Grade II* listing on the entire estate in 1998. Our proposals include the sensitive restoration of the building to ensure that Park Hill has a fantastic future as a place to live and work integrating with the new emerging community of residents, businesses and artists.